Mesa, AZ November 10, 2011— As good as the current crop of UTVs on the market may be, there is one dark spot: stock lighting. A pair of dim OEM bulbs just don’t get the job done when there is no moon or worse, when there is a driving rain. Built to beat Baja, DragonFire offers what they believe to be the best light bars in the business. Based on the latest LED technological advancements, UTV owners can now light up the night with the flick of a switch. Two banks of LED bulbs (producing an eye-popping 180 lumens per individual bulb) are backed by 15-degree reflectors. Utilizing these 15-degree reflectors vs. the 6-degree reflectors used by others helps light up more of the surrounding terrain. Despite the high output, these LED lights have a much lower draw than equivalent HID lighting systems. For example, the 8-inch DragonFire Dual Row Light Bar only draws 3 amps, but cranks out 2,160 lumens worth of light in return. Even the massive 42-inch light bar only draws 20 amps, yet blasts out more than 14,000 lumens! Making sure your mobile sunshine remains protected, the banks of LED lights are housed in a durable 6061 aluminum extrusion. This provides optimum strength without adding any excess weight. Further protection comes from the 100% optically clear pure acrylic lenses (for those in the know, that is an IP 67 rated housing which is both water- and dust-resistant). Since money doesn’t grow on trees these days, farmers and ranchers should also appreciate the fact that these pro level lights offer more bang for the buck. For the dollars spent, you get more individual bulbs per inch. Sizes include 8-inch, 22-inch, 32-inch and a whopping 42-inch wide versions, yet the low profile housings are designed to help inside trailers when transporting your rig. In addition to the light bars designed to fit everything from an Arctic Cat Prowler to a Teryx, there is even a mini bank of light to fit into a Polaris RZR hood scoop kit. Whether it is looking for strays on the north 40 on a pitch black night or hustling home from the fields ahead of a storm front, DragonFire is there to light up the UTV owner’s life. Just the sort of bright idea you would expect from the team that beat Baja! The name says it all! DragonFire continues to crank up the heat when it comes to the best products in the UTV business. DFR has everything from engine and suspension components to bolt- on accessories to turn-key vehicles in stock. Need a new SxS for the weekend? We have them in stock! Need a motor for the race? We have it ready for immediate delivery. DragonFire is your one-stop shop for Fabrication, Paint, Performance and Protection! We feel your passion, so when you think of UTV parts and accessories think of the Dragon… and feel the heat! 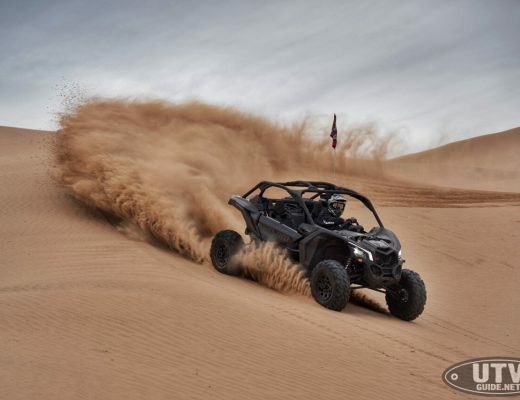 What’s the best out of the box UTV for Dune Duty?